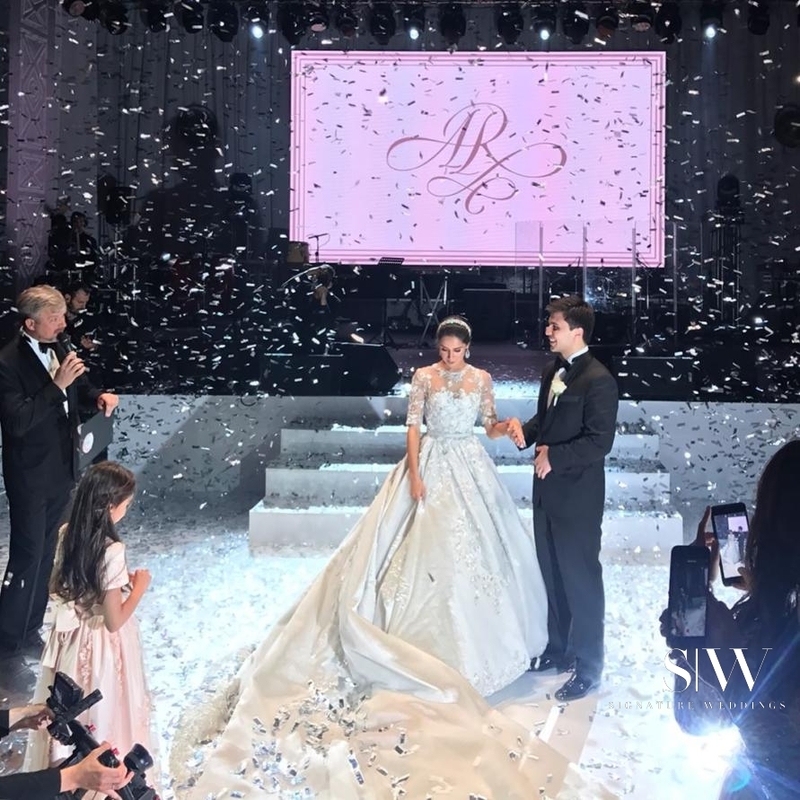 When it comes to stunning weddings, we will always want to share the good stuff with you, and this wedding definitely left us amazed. 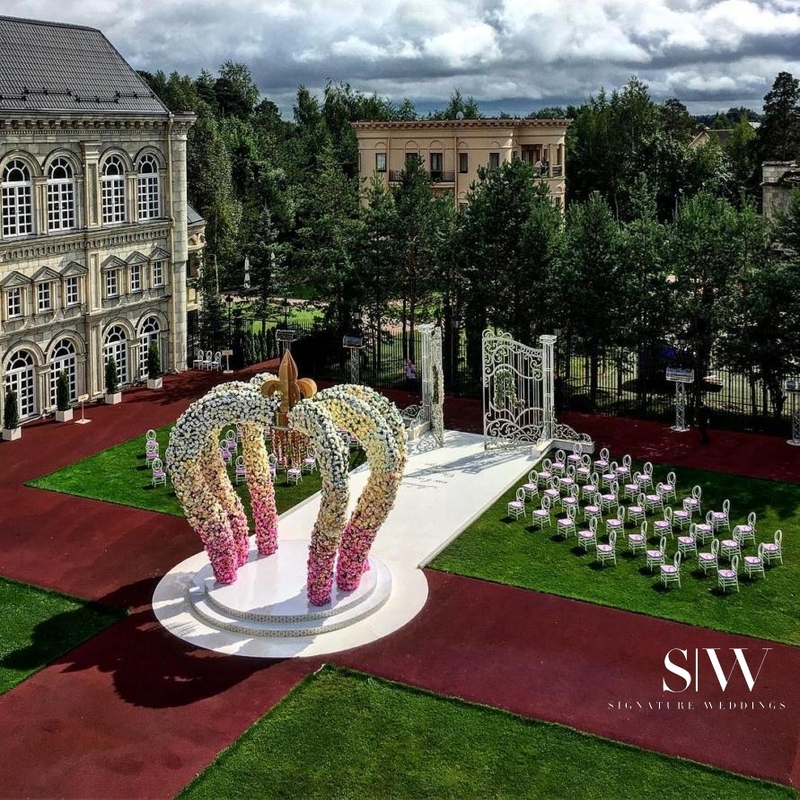 This dazzling wedding was hosted at the Zhavoronki Event Hall, in Moscow, Russia. 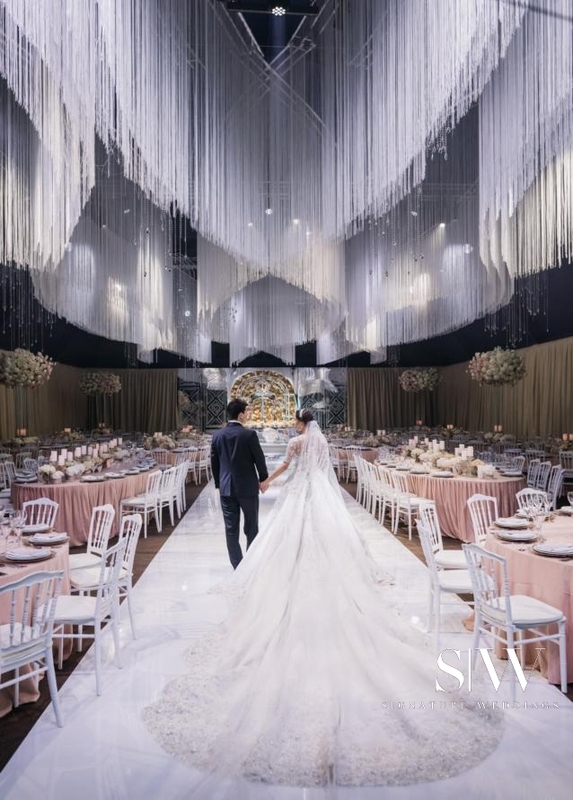 Its splendid architecture and vast open spaces make it a great place to host dreamy weddings; and that is exactly what couple, Asom and Regina, accomplished. 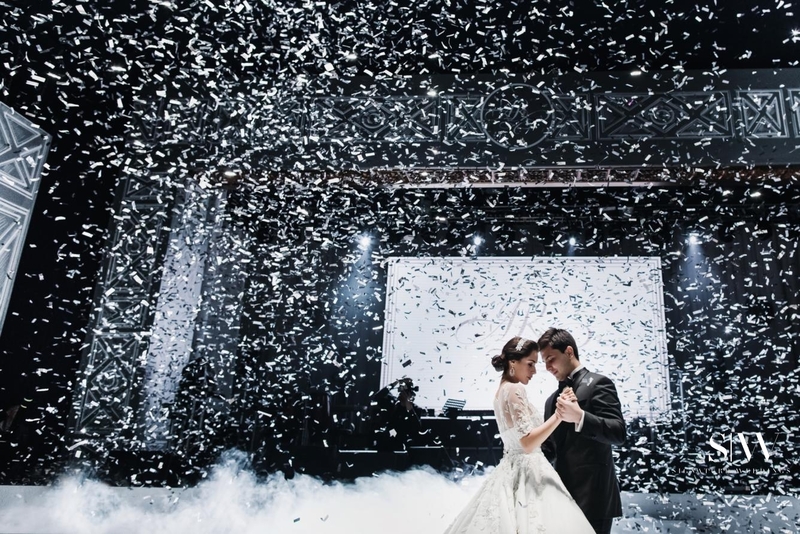 “The reason we chose to have our wedding in this place was that the moment I saw it, I thought it looked like a castle and I felt as if I was in a fairytale. My heart prompted me to choose this place,” said Regina. 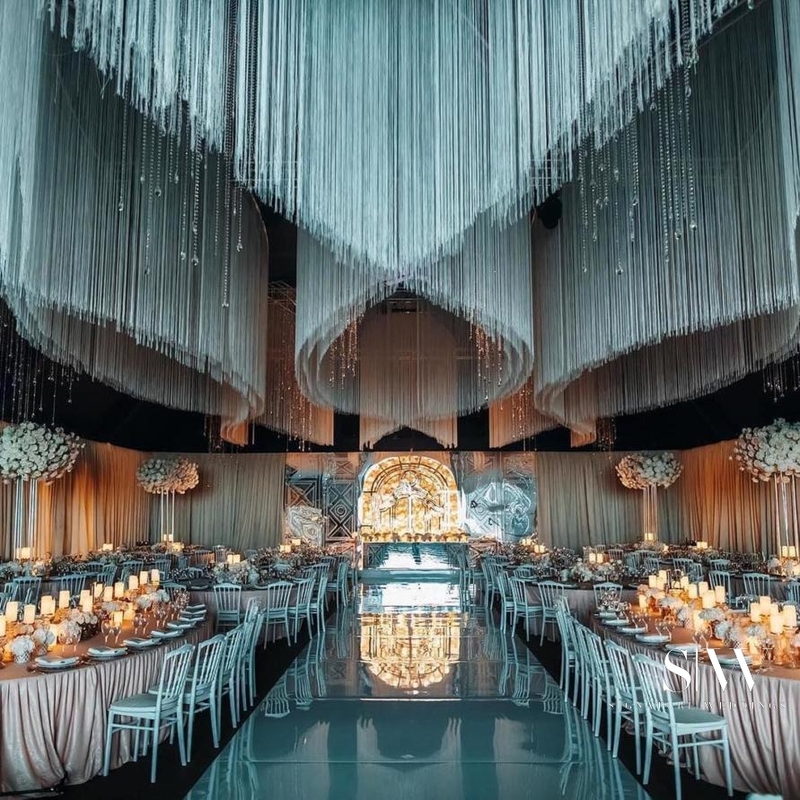 Brilliantly decked out and decorated by Lids Event House, the event hall was filled with delightful floral displays and magnificent hanging beads and crystals which naturally added up to a grandiose, magical display. 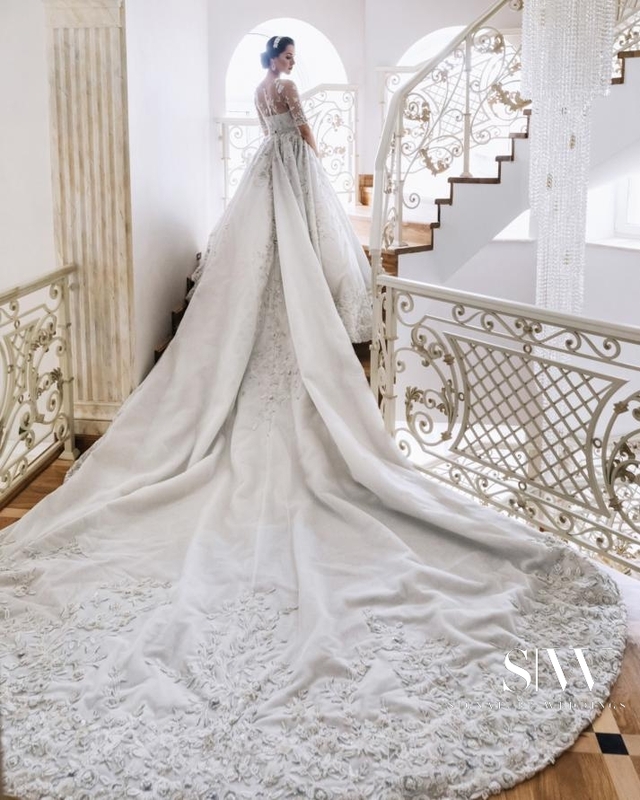 The bride wore a hefty 36kg dress designed by Ralph & Russo. 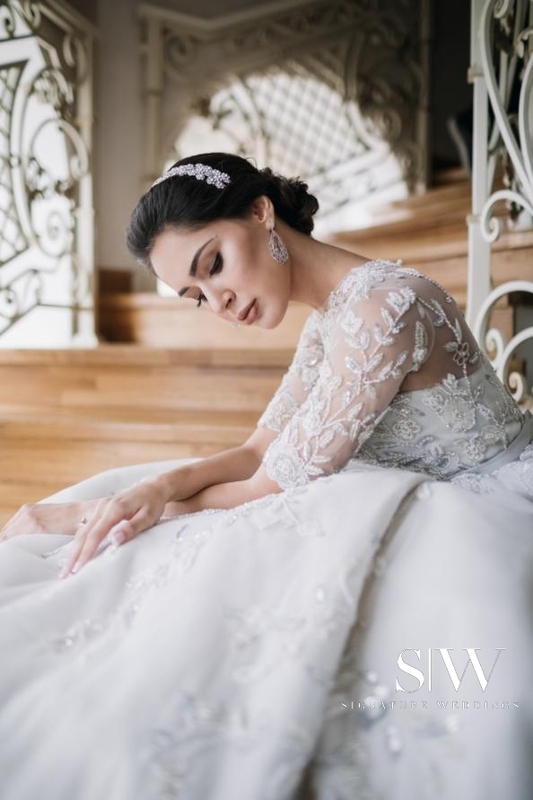 Her look was elegant, graceful, and stylish; a perfect complement to the event’s decor. The groom wore an outfit by Ferutdin Zakirov, giving him a classy look. They were a couple that looked like royalty. 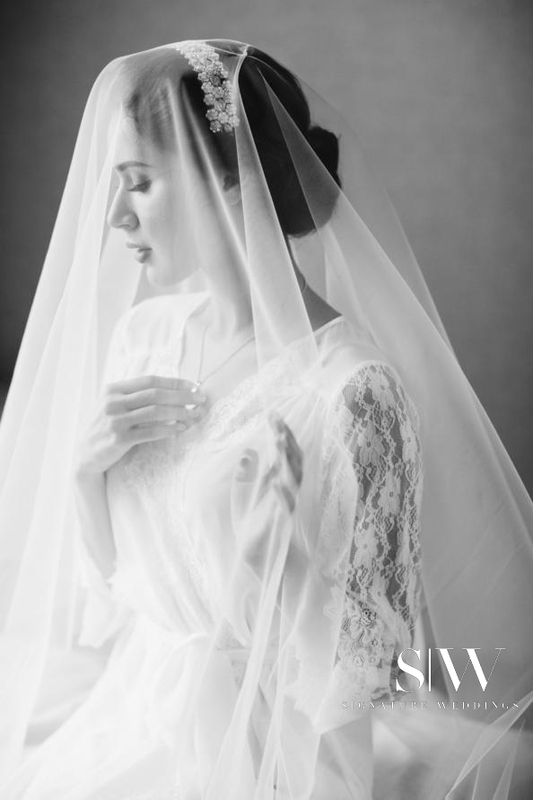 The bride looked like a queen decked in royal splendour; simply elegant and stylish! “We had some mutual friends, and so one day Asom texted me. He was so kind to me so I decided to text him back. After a few days, while I was at a restaurant with my friends, I received some flowers from him, delivered to me by someone else—and this happened a second time; flowers delivered by the same person. I liked the way he courted me, so I agreed to meet him, and that is the beginning of our relationship,” said Regina on how she met her husband. “A card was delivered to me which said that it was from him and it said that I had to follow him. I was led to a salon where my hair and makeup was done. Then, I received another card saying that I had to go to a secret place where a surprise flashmob took place and people were dancing all around me. I was then led to a park—in the middle of winter and snow—where he was standing in the middle. He got down on one knee and proposed to me, and of course, I said ‘yes’! At that moment, fireworks began to light up the night sky,” added Regina. 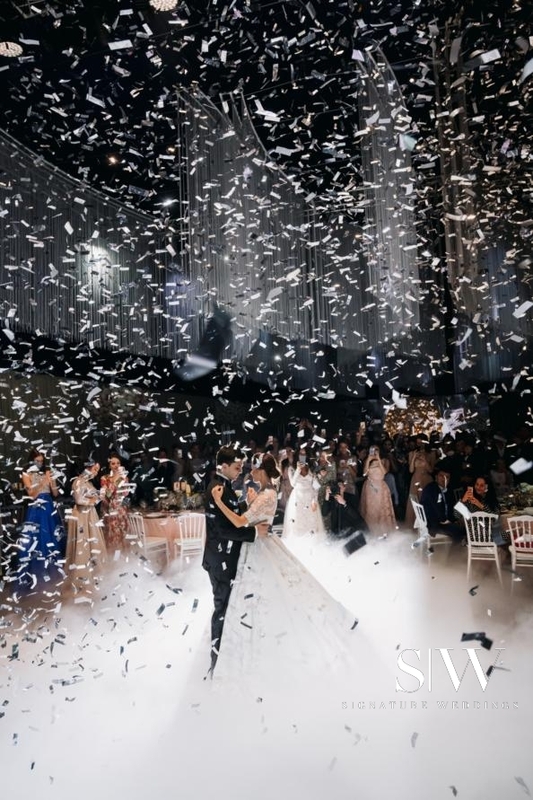 For a couple whose relationship began on such a romantic note, it’s no wonder why their wedding was a romantic wonderland. 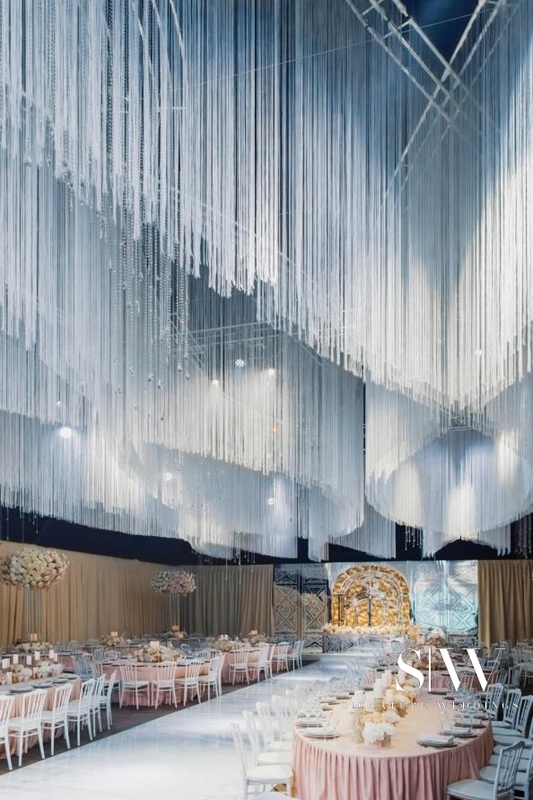 “It took us about 7 months to plan the wedding and we were so amazed by how the hall was decorated. It was so different and better from what we imagined it will be. The inspiration for our wedding was love,” said Regina. 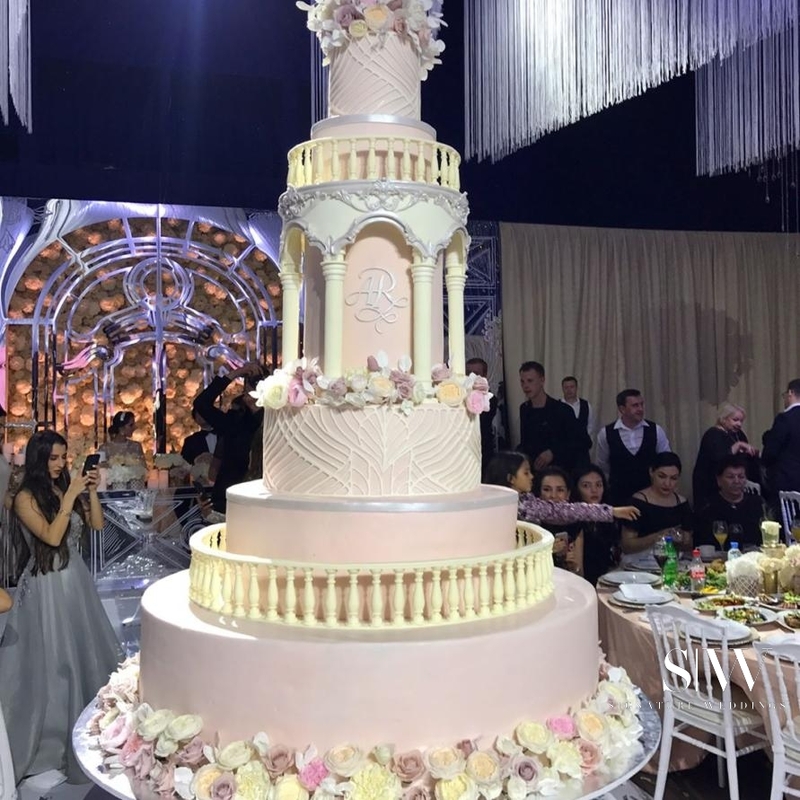 We wish the romantic couple, Asom and Regina, true bliss and happiness in their lives together!